Loving wife, mother and grandmother passed away Thursday, November 22, 2018 at her home surrounded by her family. Age 71 years. Daughter of the late Leo and Geraldine (Gast) Franz, Carol was born August 9, 1947 in Saginaw, Michigan. She was married to Timothy L. Reid on June 10, 1967. He survives her. Carol was a past member of St. Stephen Catholic Church and Holy Spirit Catholic Church. She was a room mother for her children in the Swan Valley School System. She enjoyed ceramics and time with her family at Wixom Lake. Carol had a way with words and brought laughter to everyone she met. She had a sparkle in her green eyes that lit up a room. Surviving besides her husband Tim are one daughter and two sons, Jennifer Ann Norfleet, Saginaw; Jeff Leo Reid, Saginaw; Mark Lee and Sarah Reid, Saginaw; four grandchildren, Cody Norfleet, Chance Levi, Timothy and Andrew Reid; her brother, David and Mary Franz, Freeland; a sister-in-law, Carol and Chet Fobear, Saginaw; several nieces, nephews and cousins. Funeral Liturgy will take place 10:00 a.m. Tuesday, November 27, 2018 at Holy Spirit Catholic Church, 1035 N. River Rd. Saginaw. Rev. Fr. Peter Gaspeny will officiate with burial in St. Andrew Cemetery. Friends may visit at the Snow Funeral Home, 3775 N. Center Rd. (between Shattuck and McCarty), where the family will be present on Monday from 2:00 p.m. to 8:00 p.m. and at the church on Tuesday from 9:00 a.m. until time of Mass. A Vigil Service will take place 7:00 p.m. Monday at the funeral home. Those planning an expression of sympathy may wish to consider memorials to the Multiple Sclerosis Society. 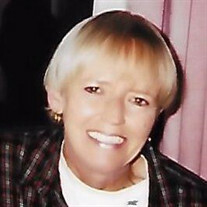 To send flowers or a memorial gift to the family of Carol Sue Reid please visit our Sympathy Store.